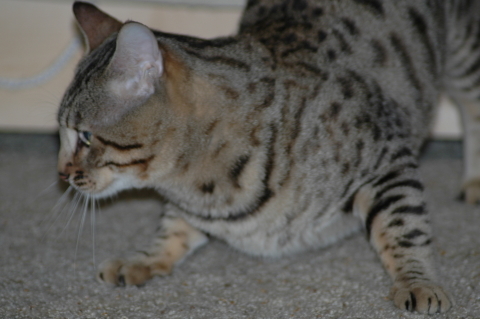 Castleblaney Bailey - Northwest Bengal Cats Beautiful, friendly Bengal Cats and kittens for sale in the Pacific Northwest of Oregon. 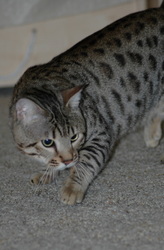 Bailey is a total sweetheart! 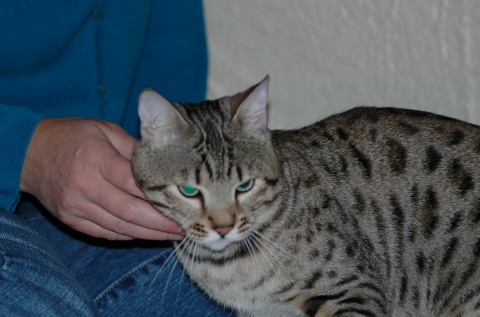 A little shy when you first meet him, but a cuddly, purring lovebug when you get to know him. Physically he is an incredibly solid Bengal, with small, wide at the base rounded ears, well defined whisker pads, a good head and medium length muscular tail. His coat is thick and slick and his pattern is nicely horizontal with shaded arrowhead spots and no bars. 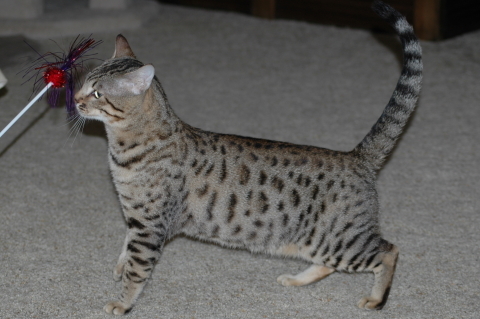 Bailey is PK-Def N/N and homozygous for the spotted pattern, which means all his kittens will be spotted kittens. 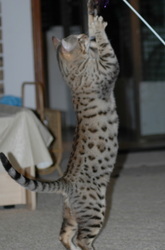 He carries the seal lynx point color gene, which means he could produce snow kittens when bred to the right female. On June 13, 2013 at eight years of age Bailey was screened HCM Normal by Dr. Kathryn Atkinson of Cardiology Northwest.